I’m always curious about other crocheters, knitters, and makers keep in their stashes. With the holidays coming up, I thought now would be a great time to share a look into some of my favorite tools, accessories and other gift ideas to help you find the perfect gift for a maker in your life. You may even see a couple of things to add to your own wishlist! 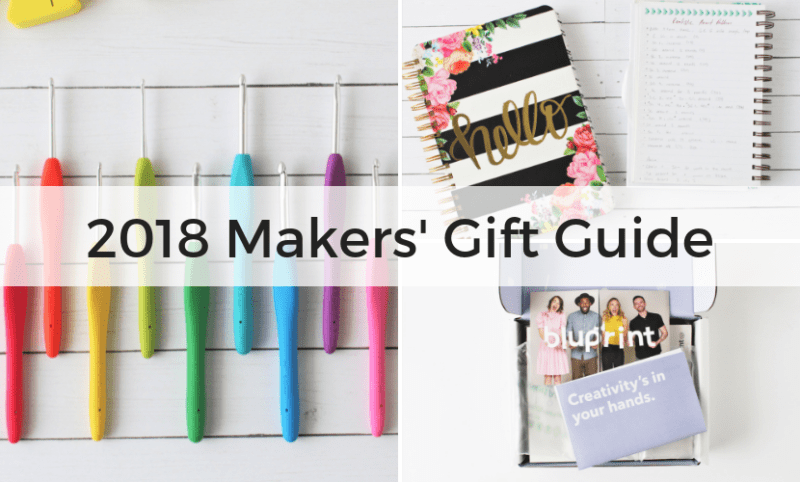 Here is my Makers Gift Guide, complete with gift ideas for crocheters, knitters, and anyone who want to make something. I started crocheting with a mix of Boye and Susan Bates hooks. They were great, but as I started to crochet a lot more, I needed to upgrade. 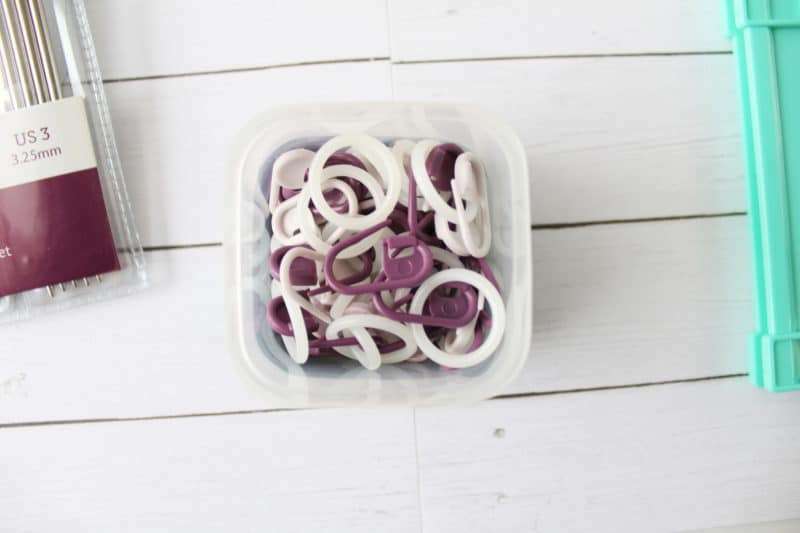 The Amour hooks by Clover are amazing – they’re super comfortable and the rubber handles don’t slip or tear as other brands do. They have a few different sets. The standard sizes come in one set of aluminum hooks and the larger plastic hooks come in another. There’s also a set of steel hook for very fine work done with thread. 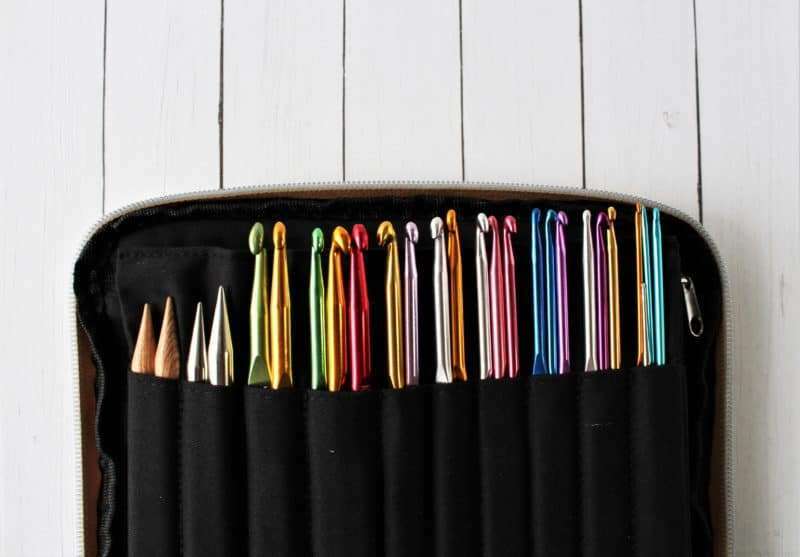 These Knit Picks needles are the absolute best and they last forever. 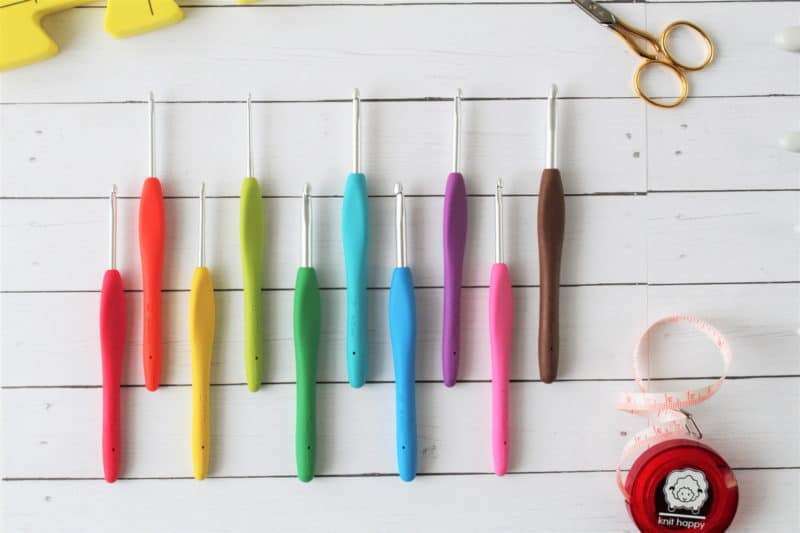 These were my first knitting needles (10 years ago!) and they covered everything – I had different needle sizes, different cables lengths, I could work flat, in the round, whatever I wanted. The nickel plated ones are my favorite, and there are some gorgeous wood options too. 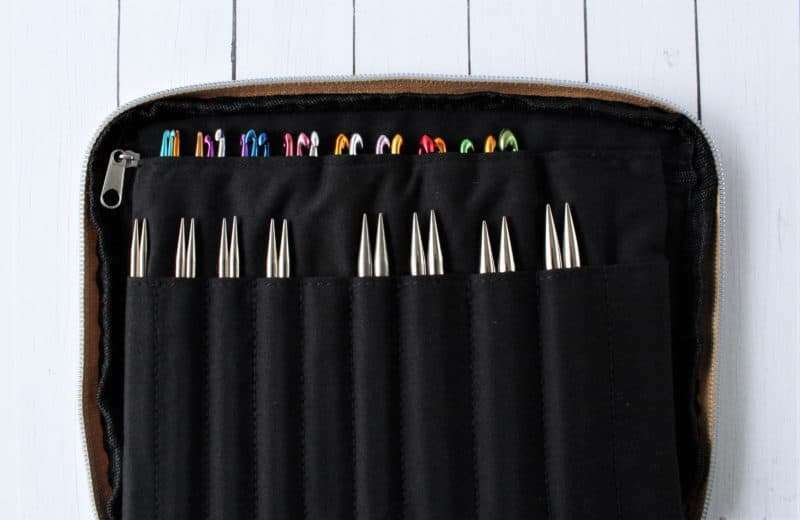 In the pictures below, I have them in a case that Knit Picks also sells, and some double pointed needles I love too. A tote bag is a great way to carry around your WIPs and keep all the yarn for each project separate. It’s also a fun way to show off your style and your craftiness. You can get tote bags from a bunch of different places so there are always ways to customize them to what you like or what your recipient likes. You can get custom designs printed on your tote from shops on Etsy, or get a ready-made one from Knit Picks. They’re really nice and have such cute designs and in different sizes. I have one I got with my Bluprint subscription and I love it. If you sell your finished pieces, or you know someone who does, consider getting them custom tags to add on their work. This is one of my favorite things in this gift guide because it’s a really simple and special way to show that you support them. It gives finished pieces a little more of a professional look and they’re a fun way to advertise yourself. You can get these in a bunch of different styles and sizes from shops on Etsy. I had some gifted to me a few years ago and I loved them. 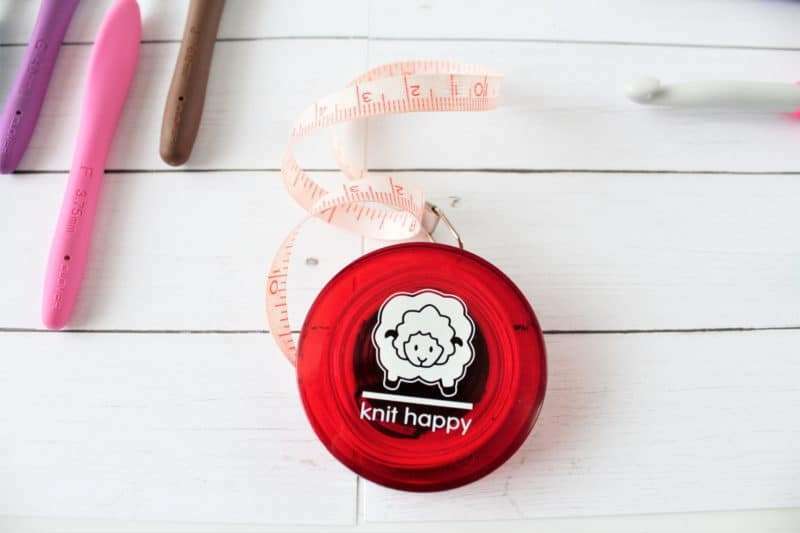 A tape measure is a must in any maker’s toolkit, and this one is my favorite. It’s smooth and durable, and it does what it needs too. This tape measure has outlived so many other cheap ones that get stuck or break, so I always recommend getting this one. Are you noticing a trend with the Clover products? 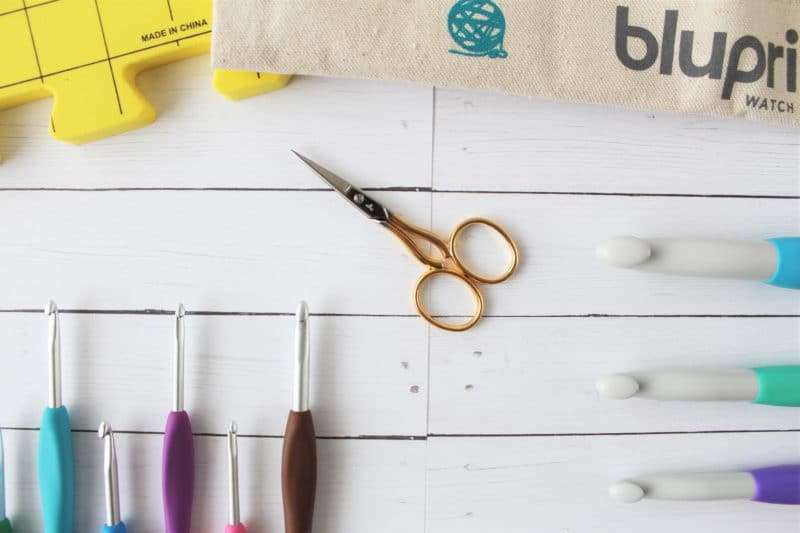 I’m a huge fan of Clover and they really do make the best tools for crafters. These stitch markers are used in every project and they’re great. They open and close really easily, they’re thin and small enough that they don’t leave a gap in your work and they come in great colors. These are in a little container with some slip ring markers from Knit Picks. If you make hats, a pom pom maker is amazing to have, particularly these ones. You can my pom poms by hand, but using these pom pom makers is super easy and you get consistent poms. I also find these a lot easier to use than some of the others I’ve tried. They’re also built really well and I’m never worried about the plastic breaking or getting scratched like with a cheaper option I had before. Like the pom pom maker, Clover also has a great tool for making tassels. The jumbo one is the best because you can make good sized tassels with it and it’s super easy to use. I was so happy to have this when I made my Twisted Cables Blankets and had to make 56 tassels! There’s nothing more annoying than a half-used skein of yarn that’s falling apart, so I love having my ball winder on hand. I use this to wrap all of my yarn into nice stackable cakes when I’m done with a project so my stash stays neat and organized. It’s also great for when you unwind a hank of yarn into a usable cake. This is a good size ball winder and much nicer looking than others out there, and it’s built well too. I’ve had mine for years and even wrote a tutorial on how to use it! 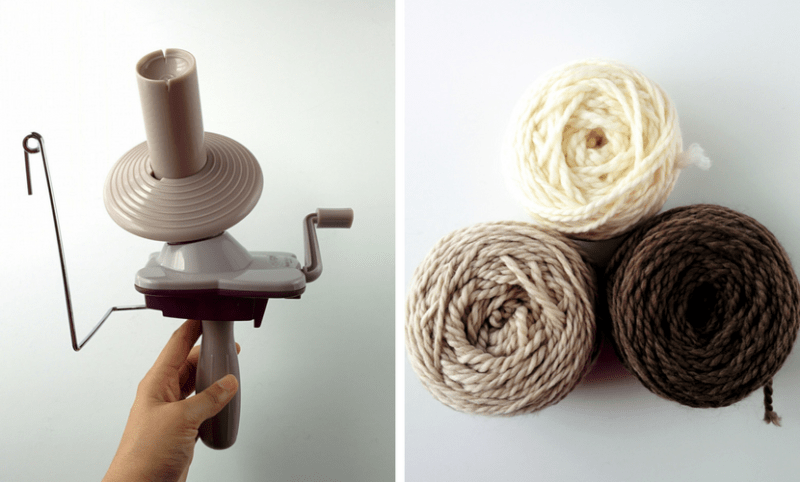 If you use a lot of yarn that comes in a skein, get yourself a yarn swift so you can undo the hank and use it. My favorite is this Amish yarn swift. 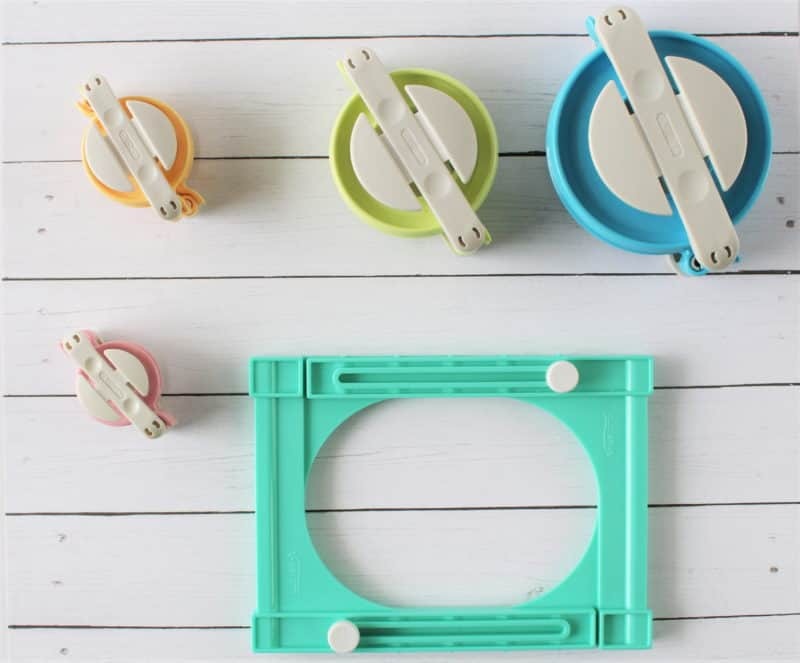 It’s completely collapsible and you can take it apart to store it in its box, and reassemble it in seconds when you need it. It hardly takes up any space at all, doesn’t need to be secured to a table and it spins silently! Love, love, love! Somethings need to be blocked to get the best results, and these are my favorite blocking mats to use for that. Blocking an item helps smooth it out and get everything into the right shape, so it’s definitely worth taking the time to do for garments and anything that needs a precise shape. Blocking also really helps with stitch definition. These mats are thick, waterproof, and the grid lines help me make sure my pieces are even. I always have a notebook around specifically for writing down patterns and design ideas. A thick, hardcover, spiral bound notebook is my favorite and it’s even better if it has a fun design on it. My current notebook is this one from The Paper Studio, from Hobby Lobby. 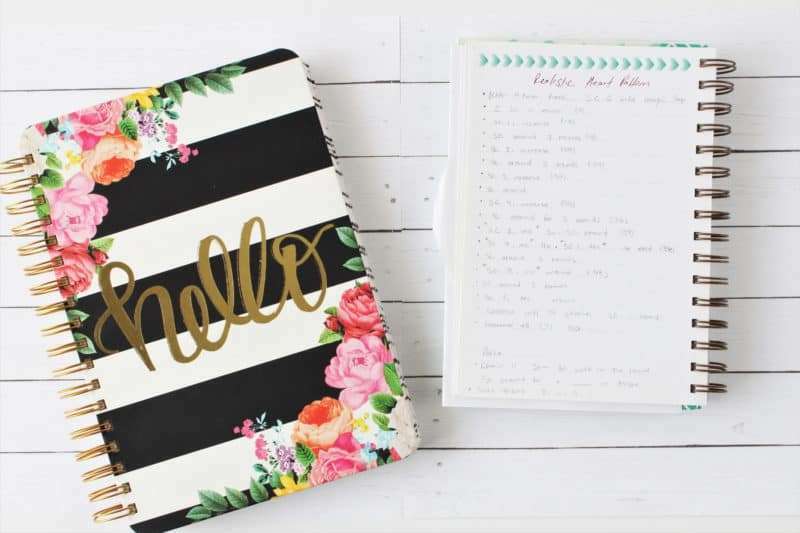 You can even get a notebook that’s personalized or has dotted or grid paper inside – whatever suits you best. For me, a lined notebook is the most convenient to write down my patterns in. I learned pretty early on that a pair of scissors last better and longer if they’re used only with what they’re meant for. Don’t use your yarn scissors to cut paper and don’t ever use them to cut hair! I have a separate pair of scissors for different things and one of my favorites is this pretty little stork scissors. I keep it on hand to trim yarn and they’re always super sharp. So far, most of the gifts in this gift guide were all tools and accessories that I love and recommend. Another great idea for crochet and knitting gifts, whether it’s for yourself or a friend, is a project or something hands on. The next few things on the gift guide are all the fun things that I am so happy I tried out. Is there something you struggle with making? Something you want to learn but you don’t really want to get all the materials for it? 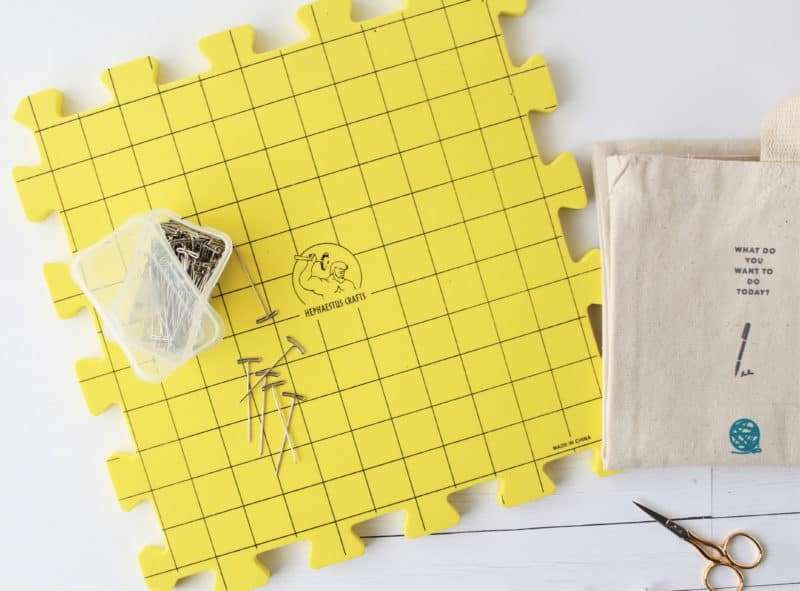 A pattern kit is a wonderful option – you can get them for any top and they come with everything you need at a lower price. 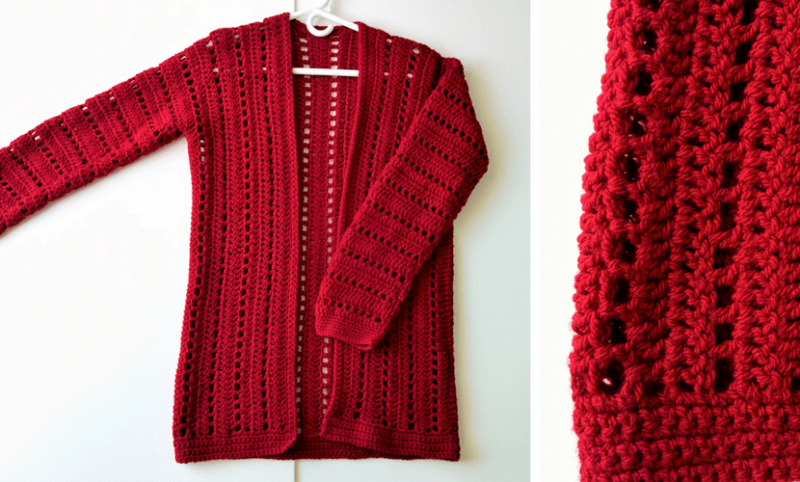 I tried a crochet cardigan kit last year and it was amazing! I finally made a sweater I was proud of and it was less expensive than buying the yarn and pattern separately. It would make a great gift to have everything arrive in a handy little box. 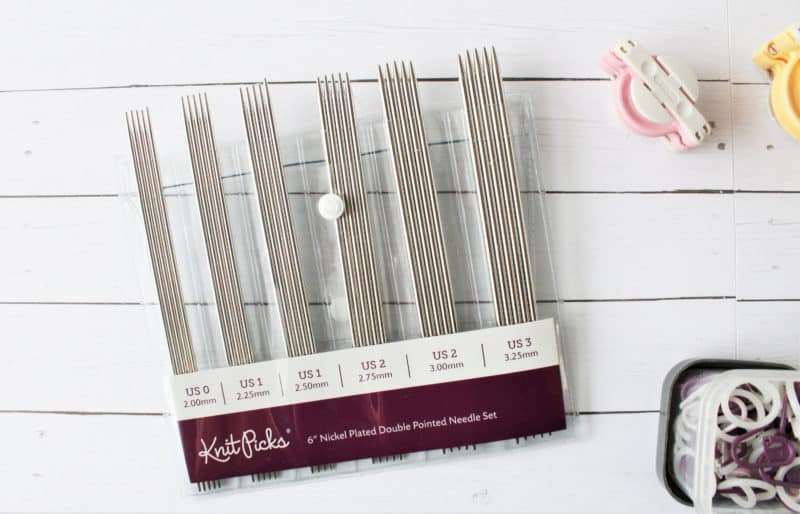 There are a few places you can get pattern kits – my favorites are from Craftsy, Knit Picks, Lion Brand and some individual sellers/bloggers on Etsy also have some. You can never have too much yarn! Why not get someone a skein of that gorgeous merino wool that they wouldn’t buy themselves, but would love to work with? Manos Del Uruguay yarn on Craftsy is amazing and when I was gifted it, I used it to make my Athena Gloves. You can also pick up a box of yarns curated into a value pack from Knit Picks. These come in different colors, yarns, and sets to suit your needs and they’re so affordable! I also love the Cloudborn line from Craftsy. I love books and the four above are my favorites. Stitch dictionaries like that Stitch Bibles are really helpful if you design your own patterns and want to learn some fun and interesting stitches. And the other two books are pattern collections that are just incredible. I’m not good at designing garments, but making baby clothes is one of my favorite things. 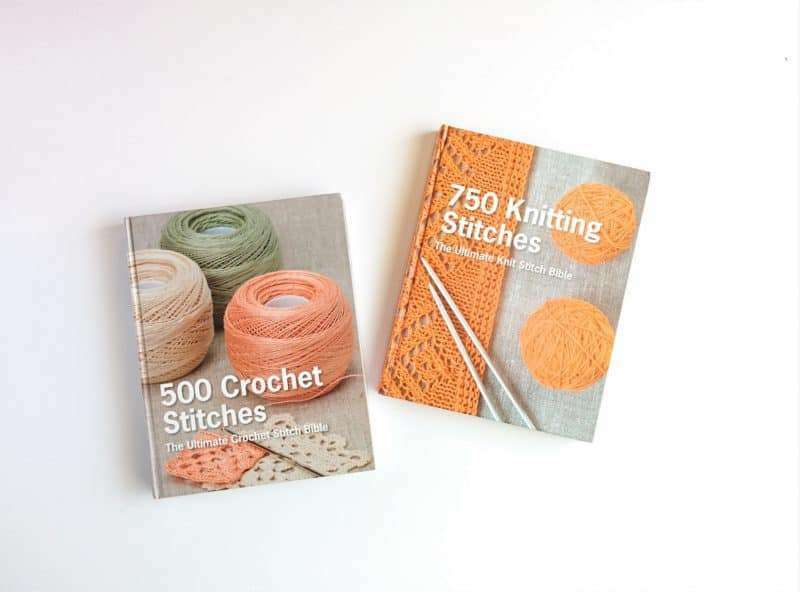 These two books are full of amazing patterns, very clear and simple instructions and they are just a dream to work from. 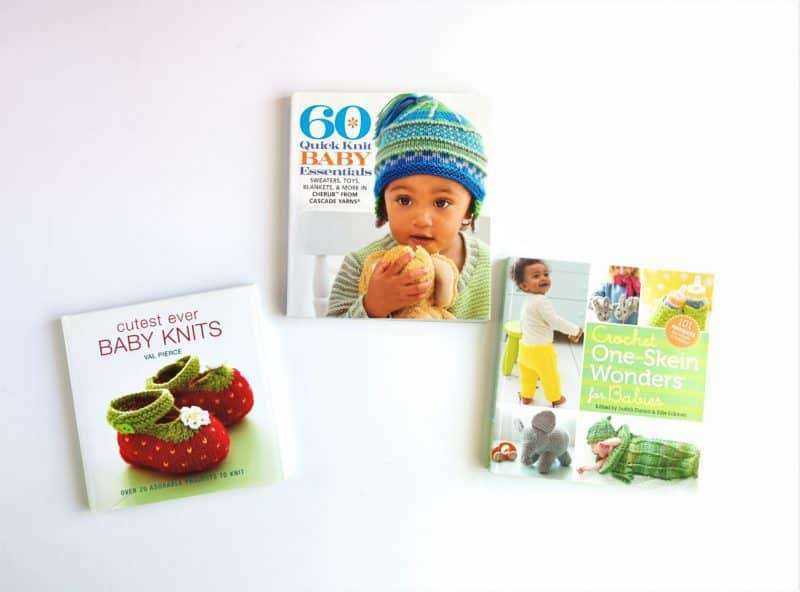 The One Skein Wonder is part of a collection and they have a One Skein book for all kinds of topics so just choose what you like to make! 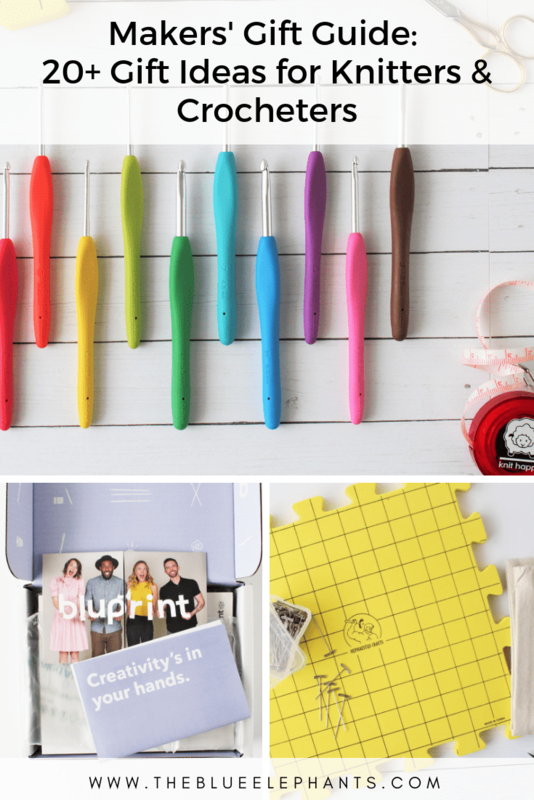 If you’ve been on my email list for any amount of time, you know how much I love Craftsy and Bluprint. 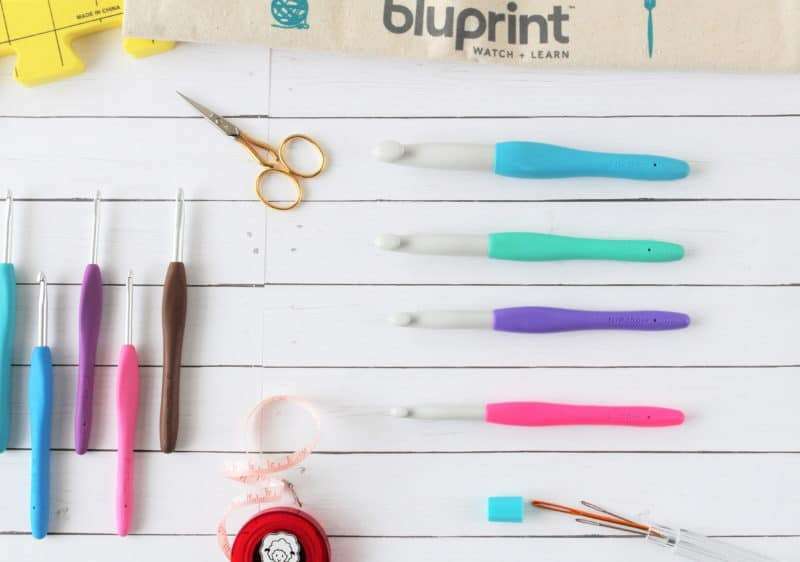 I’ve been talking about Craftsy all throughout this post and it’s a great place to get all your supplies for knitting, crochet, cake decorating, embroidery, whatever – and Bluprint is an extension of that. Imagine having access to hundreds of classes on any topic you wanted to learn, taught by experts in their field and in a way that you can go out and use right away. Sounds too good to be true, right? 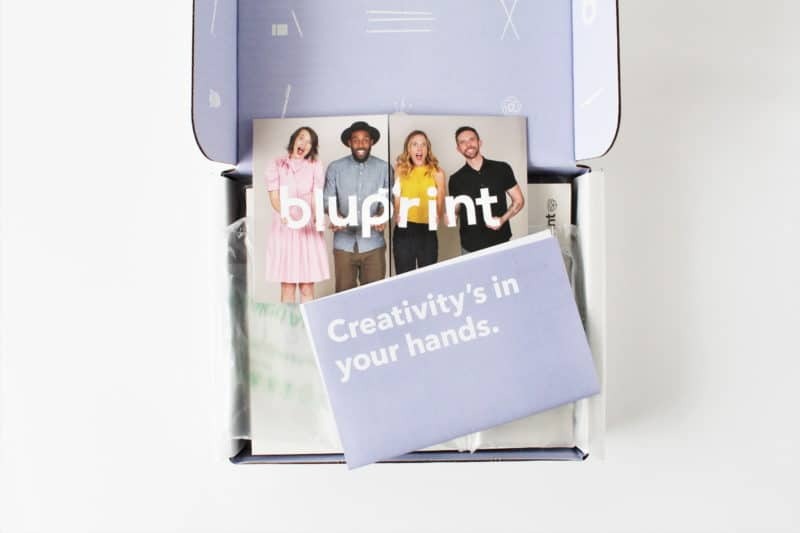 But that’s exactly what Bluprint is! 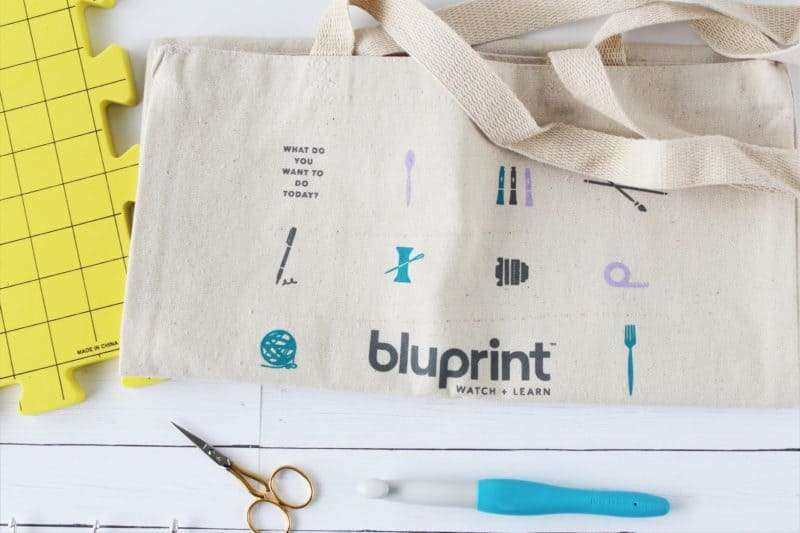 When you sign up for a Bluprint subscription, you’re getting all the classes (everything from embroidery to dancing to cooking) free shipping on Craftsy orders, and you even get a pattern kit when you get the annual plan. That’s only $100, by the way! I have a subscription and I love it so much, I’ve learned loads and there’s always new content up. You can even get a free 7-day trial to check it out for yourself before you decide if you want or if it’s right for someone you know. 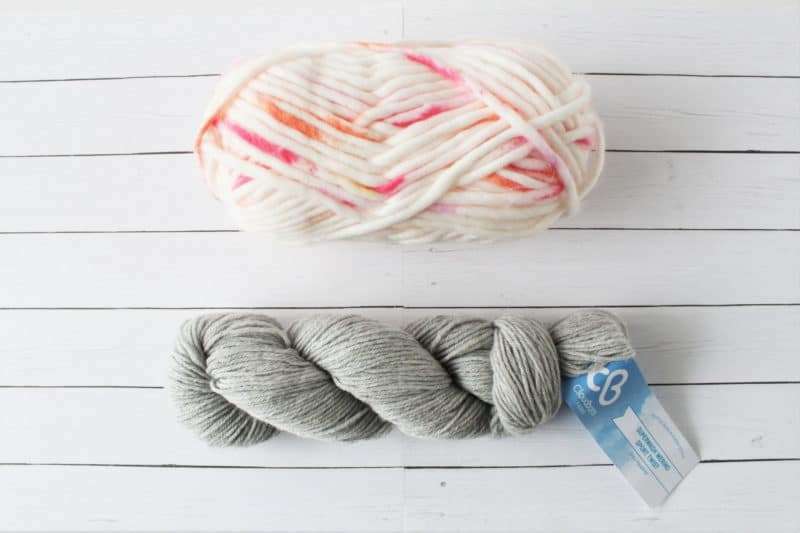 Another cool all-inclusive deal is the Handmade with Love Super Bundle from Ultimate Bundles. 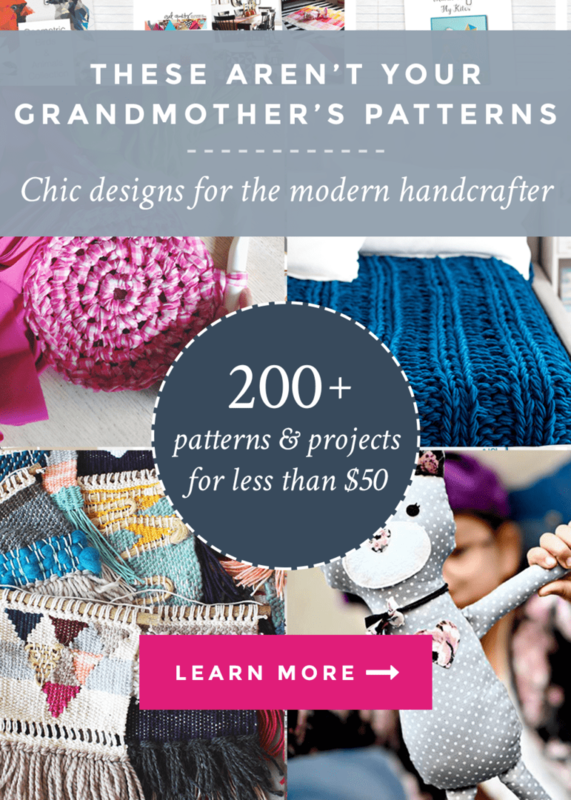 This is a collection of 21 eBooks, 25 patterns, and 6 eCourses for all things crafty. It has everything from crochet, knitting, sewing, and embroidery patterns (there are like 200 patterns total! ), tutorials and courses, all created by your favorite bloggers and offered at a discount price. This bundle is extra special to me because I’m one of the bloggers featured! The entire collection would cost around $1011.16 if you were to get each item separately, but with the bundle, you can get it for just $47! You’ll have lifetime access to use it when you want. You can learn something new or just explore patterns that you wanted to try. It’s such a great deal and I have been loving mine. You can find out more about it in my blog post here, or grab your copy here. There is a catch though – this bundle is limited time and expires November 30, 2018, so if you consider anything on this gift guide, start with this one! Last but not least on this gift guide is a planner specifically designed for knitters and crocheters, by yours truly! I created this planner to have a place where I could store all my resources, cheat sheets, and notes in one place. I wanted somewhere I could keep track of the pattern I was making, what hook I used, and what changes I made to the pattern. On top of that, I also wanted to be able to keep track of what hooks and needles I owned, what sizes hats and blankets should be and a place to draft out my designs. 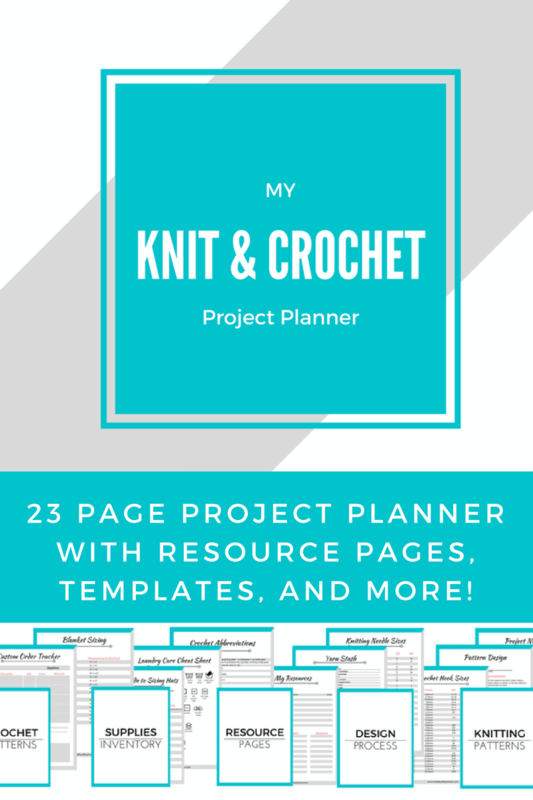 I could not find anything like what I wanted, so I made my own Knit & Crochet Planner that is perfect for makers! You can purchase a copy of it in my Etsy shop and help support this blog. 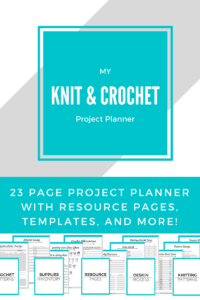 There are 5 colors to choose from, but if you need a custom color or a name printed on it (Shehla’s Knit & Crochet Project Planner), just send me a message and let me know! Thank you guys so much for reading this gift guide! I hope you found the perfect gift for someone crafty in your life and maybe added a few things onto your own wishlist. What are some other crochet or knitting gift ideas you’ve received in the past? 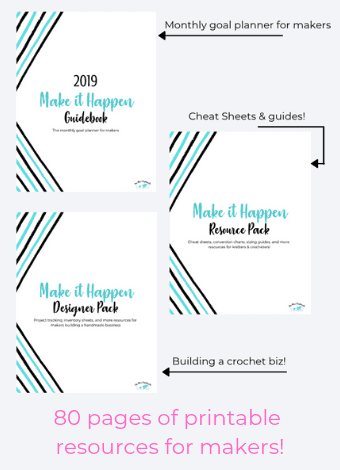 Let me know in the comments below and if you want more posts like this right in your inbox every week (along with freebies and patterns), sign up for the newsletter below!